Intra-party violence significantly increased over the past few months, following political parties' primary elections conducted ahead of the harmonised elections slated for July 30, a civil society organisation has said. According to a Zimbabwe Peace Project (ZPP) report, the primary elections contributed much to the statistics of human rights violations recorded during the month of May. "The primary elections in the two main political parties, Zanu-PF and the MDC, continued to shape political events in May. (The MDC held its primary elections in May, while for Zanu-PF, they were mainly re-runs. Zanu-PF's primaries were in April). The primary elections nearly defined all the incidents of human rights violations in the month. "Of the 81 cases that were recorded in May, almost a 20 percent decrease from the previous month where 102 cases were recorded — over 75 percent of the cases were directly connected to the primary elections," ZPP said. Political parties conducted their primary elections recently, where they chose members that are going to represent their parties in Parliament and council positions. The primary elections were marred by intra-party violence as members sought to grab positions. The exercise was also marred by rigging and vote-buying allegations. According to ZPP, the incidents of human rights violations recorded during the period include political victimisation, intimidation, harassment, coercion and discrimination. "Twenty-four cases of intra-party political violence, mainly in the MDC, were recorded in May. In contrast, there were only two cases of inter-party political violence between Zanu-PF and the MDC. "There were 22 incidents of victimisation, intimidation and harassment, mainly by Zanu-PF and mainly against unsuspecting villagers and opposition or perceived opposition members or supporters. "Effectively, intra-party violence and incidents of political victimisation, intimidation and harassment defined the month of May, accounting for almost 57 percent of the violations recorded. "The incidents were for the most part localised and targeted at political opponents and their supporters in the primaries. "Some of the recorded incidents included fist fights, poll disruptions, destruction of property, and so on," the organisation said. 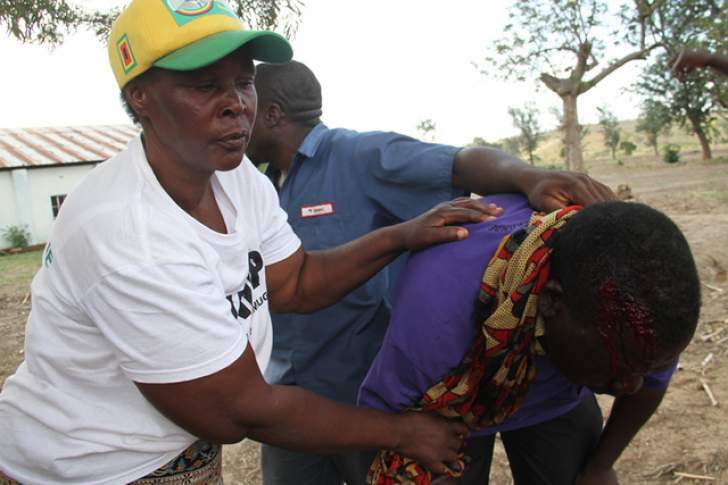 Despite the intra-party violence cases, the organisation said at least seven cases of discrimination involving the politicisation and partisan distribution of food aid by Zanu-PF local officials were also recorded. Four cases of coercion relating to Zanu-PF forced meetings and forced donations, and two incidents of incitement to violence and hate speech, were also recorded, according to the organisation. "Local leaders aligned to the ruling party, particularly in the countryside, including traditional leaders, continue to coerce, victimise, intimidate and harass local residents with seeming impunity," ZPP said, adding that there is need for the law to take its effective course in dealing with the issues.